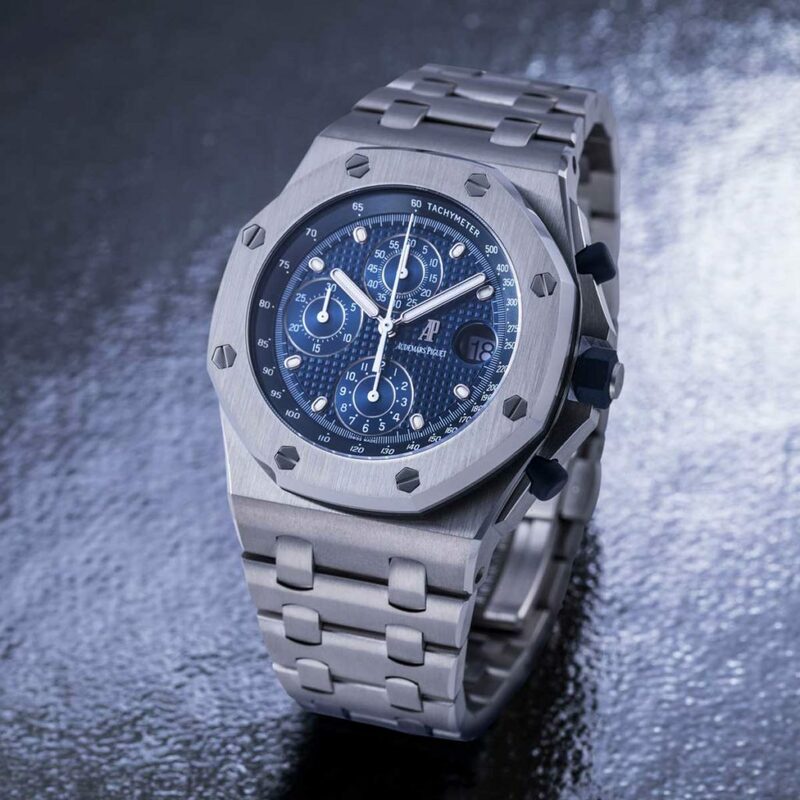 Just four years ago, in 2013, on the occasion of the 20th anniversary of the Audemars Piguet Royal Oak Offshore — AP ROO in short — when Revolution asked the venerable Le Brassus manufacture, what it had planned to mark this milestone in the lifetime of the watch, we were told that rather than announcing something two decades on, they were working on something significant for the watch’s 25th anniversary, that is, 2018. Such a decision was, also, made because earlier in 2012, Audemars Piguet celebrated the 40th anniversary of Gérald Genta’s 1972 Royal Oak. However, there was window of opportunity to possibly put together something on a smaller scale. 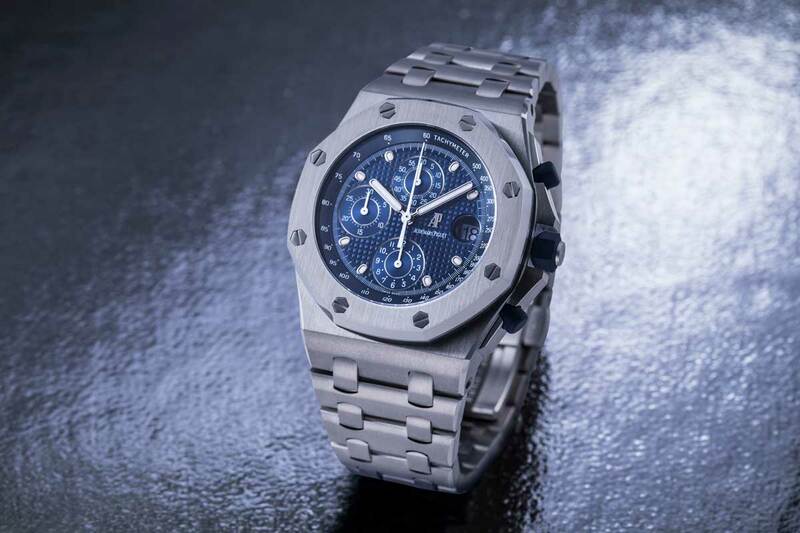 Round about the same time, while having a conversation with Mr. Oliviero Bottinelli, then the Asia-Pacific managing director of Audemars Piguet, Revolution’s Editorial Director, Wei Koh, shared saying that what he considered to be the most conic Offshore was the original 1993 version with the blue “petite Tapisserie” guilloché dial. This sentiment set off a chain of thoughts within the mind of Mr. Bottinelli, which ultimately led him to ask the powers that be, if there was remaining stock of the original dials made for the 1993 watch. He asked, knowing for a fact that extra dials were made for the watch for the purpose of customer service. When he established that there were at least 20 dials available, Mr. Bottinelli thought, here was an opportunity to create a reissue of the “original” Offshore, as a limited edition to mark the watch’s 20th anniversary. Blessings, however, had to be sought from Le Brassus to take the project forward. 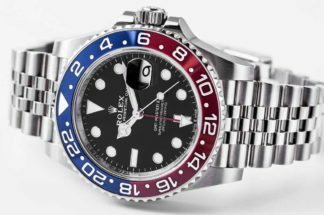 So, from the outside, the watch was going to be a carbon copy of the original reference 25721 ST, or “The Beast”, as it is referred to within the collectors’ community. 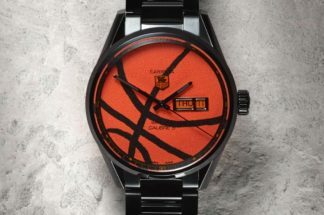 However, in order for this limited edition to be different from the 1993 debut piece, a few changes were administered. The first deviation agreed upon was that it should use the newer AP calibre 3126/3840. It’s no secret that the original Offshore had a JLC base movement, with a Dubois Dépraz chronograph module. 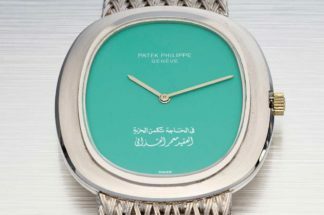 But because this reissue was going to be fitted with one of AP’s own workhorses the watch had to have an open caseback. Another difference was in the buckle used. The buckle used in the original 25721 ST was known to sometimes prove itself a little difficult when unlatching. Therefore, a newer more refined implementation of the buckle was used for the limited edition of 2013. The last differentiator on the watch was the subtle addition of the number of the watch, out of 20, engraved on its caseback. This is where it was established that Revolution’s limited edition timepieces should never have banal, outward co-branding; that it should always be something of a secret, hidden away from plain sight in a way that is meaningful to the watch and its manufacture. Later that year, at a private dinner with 20 guests invited by Audemars Piguet and Revolution, the watch was finally unveiled. Needless to say, all 20 were snapped by those in attendance with the watch going on to garner a cult-like following. 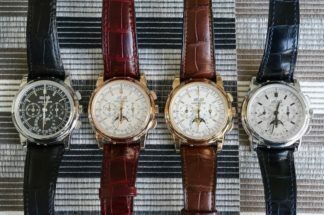 Of course, today, while we are just weeks away from the AP ROO’s 25th anniversary proper, we’ve now learned that the manufacture has announced a re-edition of the 1993 reference 25721 ST for next year’s SIHH. This 2018 version, the reference 26237 ST, will bear all of the 1993’s attributes, right down to the closed, engraved caseback. The only differences will be the movement used, which is the calibre 3126/3840, and, for sure, the newer bracelet clasp. The present state of affairs then leaves 20 unique versions of The Beast out there — numbered and with the see through caseback, created in collaboration with Revolution — for the world to hold as a definitive milestone in the lifetime of the AP ROO. And for us at Revolution, for the fact that Audemars Piguet allowed us to become intertwined with their 142 years of watchmaking history, in such a manner, we will remain forever grateful.